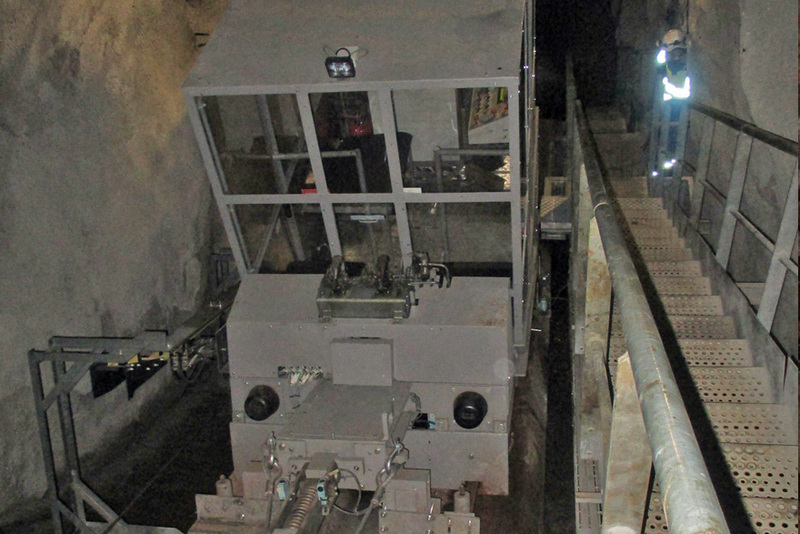 Grand’Maison inclined plane is used to transport EDF employees from the power plant (located in the municipality of Allemont) to the line valves room located under the mountain (close to the municipality of Vaujany). It makes its way in a tunnel dug into the rock, extending over more than 1.5 km. It is only used during the winter when the access road is blocked by snow. 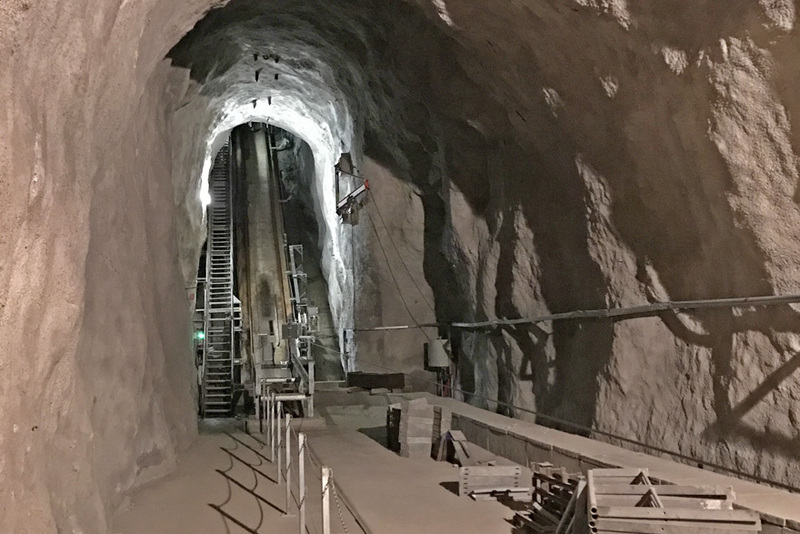 It is the longest industrial funicular in France, furthermore entirely subterranean.